Stephen Kessler is a writer living in California. He is the author of ten books of original poetry, sixteen books of literary translation, three collections of essays, and a novel, The Mental Traveler. Stephen Kessler was the editor of The Redwood Coast Review, four-time winner of the California Library Association’s PR Excellence Award, from 1999 through 2014. He is editor and principal translator of The Sonnets by Jorge Luis Borges (Penguin Classics, 2010). He has edited several other independent periodicals over the past fifty years, among them the Santa Cruz newsweekly The Sun, the monthly Mendocino County Outlook, and the international journal Alcatraz. 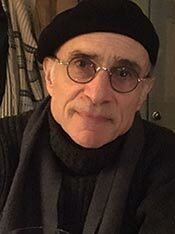 As a translator Stephen Kessler has received a National Endowment for the Arts Fellowship, the Lambda Literary Award for Gay Men’s Poetry, the Harold Morton Landon Translation Award from the Academy of American Poets, and the PEN Center USA Literary Award for his versions of the three most comprehensive volumes in English of the poetry of Luis Cernuda. In California Stephen Kessler is best known as a journalist, essayist, and critic who has written for more than forty years in many newspapers and literary magazines, most recently the Los Angeles Review of Books, Poetry Flash, Catamaran Literary Reader, and the Santa Cruz Sentinel, where his op-ed columns appear regularly. Each of these pages surveys Stephen Kessler’s major publications in the various strands of his writing. There are links to radio interviews and to articles as yet unpublished in books as well as samples from some recent collections of poetry and prose. Born in Los Angeles in 1947, Stephen Kessler attended UCLA, Bard College, and the University of California at Santa Cruz before accepting poetry as a vocation and embarking on a path of many forks that have taken him into one genre, one medium, one form and another. He is completing a new collection of poems, Garage Elegies. Stephen Kessler's papers are collected at the Lilly Library, Indiana University, Bloomington, Indiana.